Enjoy this great cooking game and learn how to cook Sardinian Lobster Spaghetti following an original recipe from Italy. Very simple dish with sauce made from white wine, tomatoes and onion. You can easily replace the lobster with shrimps or scallops. If you are a sea food lover, then for sure you will surely enjoy food and this game for girls will be one of your favorites. Firstly, on a hot saucepan, mix the butter, onion and garlic with white wine, after that add the red pepper and tomatoes. Follow the in-game instructions for more details and how to play this cooking game. Have Fun! 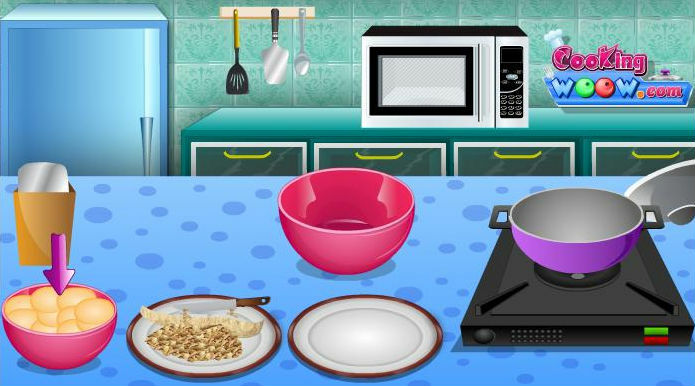 Use mouse to play this cooking game.